During a recent family dinner my 8-year old daughter asked me if I had tried Templeton Rye. I don’t even know where she got that from. I had seen it in stores, but I have never bought it, never ordered it, and never spoken of it at home. That question, along with the email from my son’s kindergarten teacher that mentioned my son’s persistent need to discuss my bourbon selection with his buddies, made me realize how much my kids had become involved in my new hobby. One look from my wife was enough for me to decide they could no longer go on hunts with me. It was fun while it lasted, and it was cute to hear them discuss my favorite bourbons, but it had gone too far. Especially when the Kindergarten teacher sent home the picture my son had drawn during creative time that day….. a picture of my bourbon shelves. Damn those kids and their memories. Yet despite the cutoff, my daughter would still occasionally ask me if I had tried Templeton Rye. She must have seen a bottle in one of our store searches and committed it to memory. On a recent out of town family trip, I came up to the hotel bar to see a bottle of Templeton Rye staring at me. I had no choice, I tried it for my kid. I had a single the first night, and followed it with a double the next night. 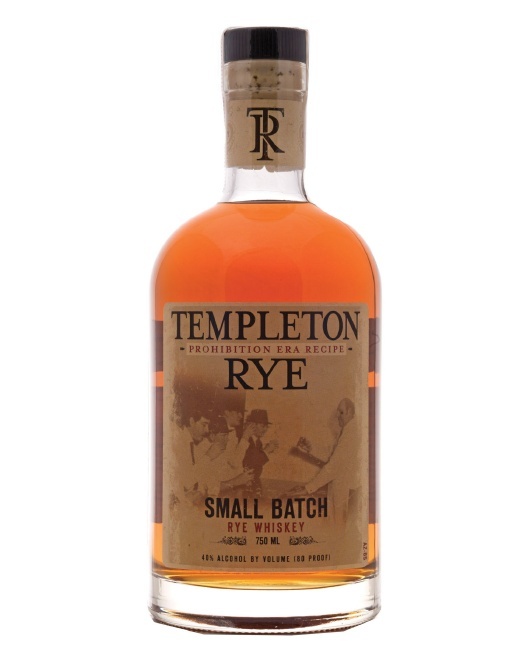 Templeton Rye is made by…what appears to be…a company called Templeton Rye Spirits, LLC in Templeton, Iowa. From what I gather on their website, this is their only product and replicates the Templeton Rye that was made back in the Prohibition Era in Templeton. Al Capone was a regular drinker or Templeton Rye, and smuggled it into Alcatraz, both of which make this kind of a badass spirit. Production on this rye stopped sometime mid-century, but it was replicated last decade by two guys who were from families that had bootlegged and distilled Templeton Rye back in the 20’s. They started their own distillery in Templeton, and from what I can tell are distilling some, of it not all, of their product. The nose of the Templeton Rye is very pleasant. It smells like caramel and butter. Or better yet, caramel butter. I don’t know if they make caramel butter, but they should, and this is what it should smell like. The nose is so pleasant my wife even smelled it and thought it smelled nice. Normally she hates the smell of bourbon. She agreed with caramel butter. She also smelled honey. 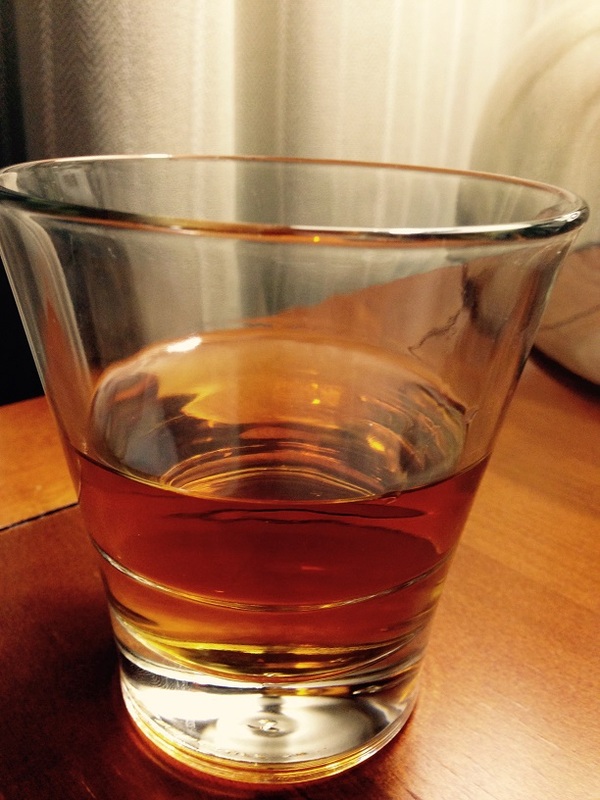 The color is the same color as every other rye and bourbon I drink……amber. The palate is incredibly smooth with TR. There is no burn, just a very pleasant taste of rye bread, caramel, and butterscotch with a very light spice from the rye. It’s so smooth and pleasant, and the finish is nice and smooth as well. 5 minutes after finishing my double, I still had a pleasant sweet taste in my throat. It’s truly a soft and sweet spirit, almost like a dessert wine. The only annoying part was that I had no buzz at all. Don’t get me wrong, I don’t drink to get drunk. But after a double, I would have enjoyed a more relaxed feeling than I had. Overall I am really impressed with this rye whiskey. It’s smells wonderful, and is incredibly drinkable neat. My only complaint is the low proof (80). I have started to like stronger ryes, and I feel like this one could really open up with a depth of flavor if they could cut it down a little less. A little less sweetness and a little more spice would definitely improve this rye. Overall, it’s an excellent dessert rye, easily sippable, but probably not going to be added to my every day rye selection just due to the ‘just enough proof to be labeled a rye whiskey’ characteristic.